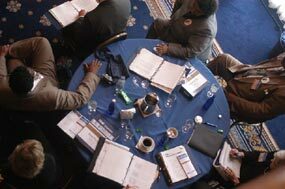 Some members of the audience. 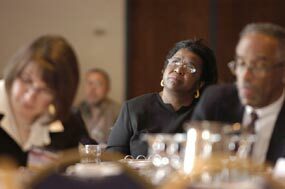 DSC Deputy Director Donna Gambrell (center) listens while others take notes. 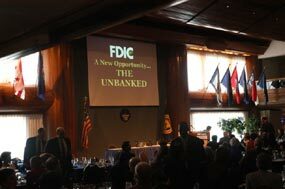 The FDIC unveiled a new educational video for bankers called "A New Opportunity: The Unbanked."